On the panel with Oblizalo were Tim Donovan of the Competitive Carriers Association, Mike McCormick of the Mississippi Farm Bureau Federation, Jonathan Spalter of the United States Telecom Association and Chip Strange from Ookla. Here is Oblizalo’s public testimony. A webcast of the full hearing can be watched at the Senate’s website, here. Chairman Wicker, Ranking Member Cantwell and members of the Committee, thank you for the opportunity to testify on the importance of rural broadband mapping. 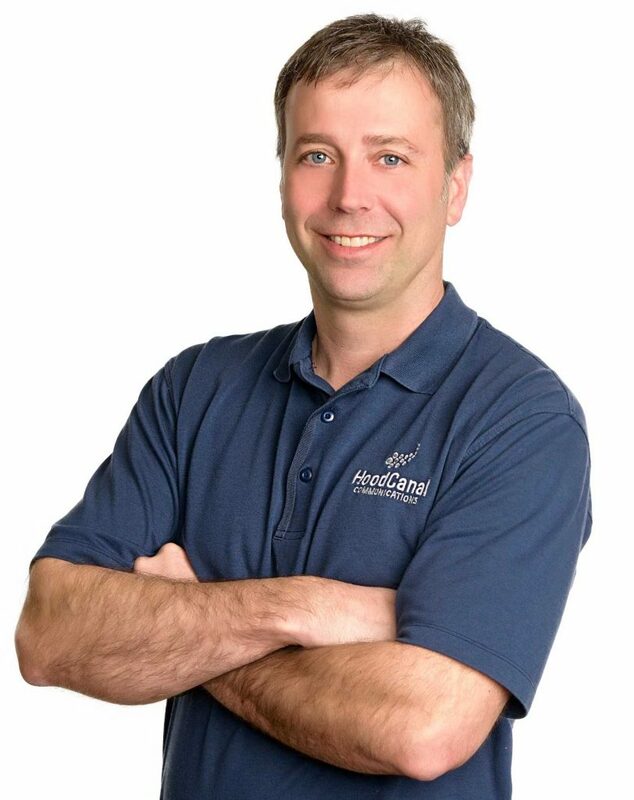 I am Mike Oblizalo, Vice President and General Manager of Hood Canal Communications (HCC) in Shelton, Washington. I am a third-generation employee of HCC, a community-based, family-owned business. 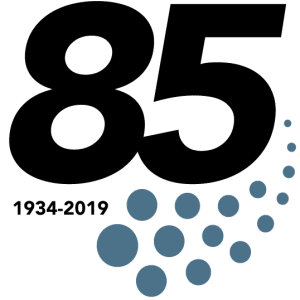 I have worked for the company for 33 years; and in that time, I have worked in every position throughout the company, including construction, splicing traditional cables, and identifying and engineering new buildout areas. I have overseen all aspects of HCC’s grant projects, including writing applications, creating budget projections, and the engineering and deployment of networks. I attended Clover Park Technical College and Michigan State University, and I am certified in engineering and telecommunication technologies. Hood Canal Telephone Company (now known as Hood Canal Communications) was founded over 85 years ago as a traditional local exchange telephone company in Union, Washington. Union is located in Mason County, a sparsely populated rural county. HCC has been owned and operated by the Buechel family since 1956, when there were only 123 phone customers in the exchange. The family’s commitment to the local community led to the addition of cable television service in 1971, and the company started offering dial-up internet service in the 1990’s. To respond to customer demand, we migrated quickly to higher speed broadband service starting in 2000. HCC currently employs 40 members of our community, and we are frequently recognized for both our community involvement and broadband deployment efforts within Mason County. Within the last five years, HCC has won several awards from the Mason County Chamber of Commerce and North Mason Chamber of Commerce, including business of the year and volunteer of the year several times. In 2002, HCC was awarded a U.S. Department of Agriculture (USDA) Rural Utilities Service (RUS) Community Connect broadband grant to deploy broadband service on the Squaxin Island Indian Reservation. This project was extremely successful and brought broadband, cable TV, and telephone service to the residents and businesses of the Squaxin Island Indian Tribe. In 2004, we received a RUS loan for $1.77 million to upgrade our network for better broadband deployment. In 2010, HCC received another funding award in the amount of $3.6 million from the USDA Broadband Initiatives Program to expand broadband, telephone, and cable TV service into unserved and underserved parts of Mason County. In 2017, HCC received another Community Connect grant for $2.3 million with a 15% matching contribution. This grant allowed us to reach 551 homes and many more areas where growth is anticipated – with broadband playing a key factor in stimulating that growth. This project is currently under construction with an estimated completion time of 3rd quarter of 2019. While HCC continues to extend its facilities into rural Mason County, limited resources and a tight financial market make deployment difficult without financing available from a partner like USDA. One of HCC’s goals is to serve the unserved or underserved in our local community outside of our traditional incumbent serving area. We continue to strive to meet these goals by looking for public/private partnerships to deploy facilities. At the same time, predictable and sufficient support from the universal service fund (USF) overseen by the Federal Communications Commission (FCC) is essential within our traditional incumbent local exchange carrier (ILEC) service area to make the business case for investment and to ensure that consumers can obtain services at affordable rates in these deeply rural areas. Today, HCC’s ILEC serves nearly 1000 broadband subscribers and over 700 telephone subscribers, while our expanded operation serves nearly 5000 broadband subscribers and over 3000 telephone subscribers, plus an additional 3000 cable TV subscribers. All told, HCC’s service territory contains 1.45 subscribers per route mile. HCC takes great pride in serving these rural residents of Mason County with essential broadband, telephone, and cable TV services. Broadband mapping is significant for companies like HCC that need to leverage public-private partnerships to deploy networks and deliver services in very rural areas. The FCC’s broadband map and the mapping tool maintained by RUS are the primary starting points in determining where services are lacking and where resources from those agencies might be leveraged to enable private network investment in rural areas. But the lack of accurate maps and the need to refer to two different mapping tools makes for a challenging process to determine potential areas for broadband deployment and the availability of funding to enable such deployment. In fact, we find it is not unusual for “conditions on the ground” to look very different from those depicted on national maps. As a recent example, HCC was evaluating offers of model-based USF support from the FCC for its traditional ILEC service area – a movement away from traditional cost-based support to incentive-based support under the FCC’s Alternative Connect America Model (ACAM). At the start of that process a few years ago, the original ACAM support offer based upon the FCC’s map reflected what appeared to be 39 locations in three census blocks that were alleged to be served by a competitive provider other than HCC. We expect that the ACAM offer we will see soon now reflects what we believe to be a total of 247 competitively overlapped locations in three census blocks. One might think this is simply the product of greater broadband deployment over time by that competitor but based upon reviews of the other company’s public information and substantial familiarity with the physical serving area in question, we estimate that only 62 of these locations in two census blocks are in fact served by that competitor. These concerns are not limited to just our incumbent service area; we are seeing that imprecise data feeding into imprecise maps also affects our ability to reach and serve other unserved rural communities. For example, we have been looking at building in areas in the northern portion of Mason County outside our traditional service area. These locations are deeply rural and in very forested terrain. But, according to the FCC’s map, most of this area is currently served by two different satellite providers that purport to offer speeds of 25 Mbps downstream and 3 Mbps upstream. One of these satellite providers was just awarded USF support through the FCC’s Connect America Fund auction for this tract, which will keep anyone else from being able to obtain funding to serve that area. But given the limitations of satellite service – including lines of sight that are a significant problem in forested areas, latency, and susceptibility to poor weather conditions – the likely result is that consumers will lack meaningful broadband access even though the map will now preclude anyone else from obtaining funding or financing to deploy better networks and serve there. Accurate mapping data is therefore critical to the ability to deliver and sustain service in rural America – and bad mapping data risks leaving rural consumers stranded without broadband for years to come at the very least. Without any validation process or the ability to challenge the “FCC Form 477” reports submitted by providers that are translated into the FCC’s maps, the result is that ACAM and other USF support is denied in areas where that support is in fact very much needed – which then translates into rural consumers not getting served. And that is perhaps the most important part of this problem While improving the maps on the front end is undoubtedly important, without any ability to validate or correct on the back end the self- reported data that gets populated into these maps and then used by the agencies to decide where funding should go, the end user is ultimately the one who suffers. WHAT DRIVES INACCURATE BROADBAND MAPS? The accuracy of broadband availability maps is often in question, as maps show services as available where consumers cannot get them at all, and in other places these maps show speeds available at levels that cannot consistently be delivered. The examples above illustrate these common problems. There are several reasons that these issues arise. First, current broadband maps are based mostly, if not entirely, on information received from providers. While providers certify the accuracy of their reports, the processes used to verify the information can vary greatly at the state level and are nonexistent at the federal level. Therefore, the maps essentially say whatever the providers who populate them say. Moreover, the standards for reporting this data vary and make it very challenging to verify – there is, for example, no specific standard to ensure a wireless provider is reflecting reasonable propagation of its coverage. Second, on the Form 477 form that feeds into the FCC’s broadband map, a census block is reported as served simply because one location in that block could be served by a provider. In rural census blocks that can stretch large distances, this means that the delivery of service to just one customer in a census block can result in the denial of funding for voice and broadband to another customer located miles away, yet still in the same census block, who literally has no choices for such services. This disparity results in many unserved homes and businesses looking served, especially in rural areas where census blocks can be large. This issue contributed to the significant decline in our potential ACAM USF support, despite the fact that we know not all of the locations in those census blocks are served. There has already been a lot of concern expressed – especially from among members of this Committee – about whether the Form 477 data accurately capture coverage in the mobile context. This focus is understandable given the efforts to implement the Mobility Fund and the visceral feeling of having no cell phone coverage in an area where provider maps say one should. But, as HCC’s experience indicates, these concerns are just as prevalent in the context of fixed voice and broadband services, too. Third, the current standard for reporting an area as served depends upon advertised rather than actual speeds, and also allows an area to show as served if a provider believes it could deliver service there at some point soon, rather than having the actual capability to do so in the near term. In other words, there may be no service actually installed in a census block, or the speeds actually delivered in that block may not be equal to what is advertised – and, yet, that area can show as served. Finally, the current map does not capture buildout in progress that is occurring pursuant to governmental initiatives like the FCC’s USF or RUS lending/grant programs. This means that there is the potential for two governmental programs to in effect “overbuild each other,” allowing duplicative and competing networks to be built through two different federal programs. My testimony above describes how the “rubber meets the road” in terms of what bad mapping data means when it affects the ability to serve specific rural areas. “False positives” – locations shown as served when they are not – can result in a denial of financing or funding needed for a small, local committed company like HCC to deploy and operate a broadband network, especially in rural areas where the business case for doing so is so difficult. On the other hand, “false negatives” – locations appearing as unserved when they are already served or are in the process of having networks built to them – can result in a waste of financing and funding resources on duplicative networks. The reality is that any map will practically be outdated by the time it is published. It is also the case that no one is going to validate independently each piece of data and claimed coverage submitted by a service provider the moment it is submitted. We recognize too that there is a balance to be struck in terms of obtaining more accurate and granular data while trying not to impose burdens that have providers spending more time reporting coverage than advancing coverage through network deployment. However, all this does not mean we should not strive to improve this process. Many different proposals are being presented to the FCC, and each of them holds some promise to make the maps much better than they are today. These proposals warrant significant consideration, and they may provide a much-needed path forward toward better maps. But, at the end of the day, as long as any map is based upon self-reported data from providers and as long as that data is not vetted thoroughly by an independent source, there will be a need for a challenge process prior to relying upon the map to make decisions about where funding or support should either go or be withdrawn. A more granular map can certainly help identify more accurately where broadband is available, but a meaningful and robust challenge process will remain critical to validate both fixed and mobile data prior to any map being used by the FCC or RUS (or any other governmental agency) to make final decisions on funding or financing. For many years, agencies like the FCC and RUS have developed and used such challenge processes that treat service coverage information like Form 477 data as informative but not dispositive. When these processes are used, the maps become a “baseline” for determining where support should or should not go, but the challenge process is then used to confirm whether the maps are correct and to adjust them when they are not. Certainly, the recent experiences with the Mobility Fund show the value and wisdom of continuing to use a challenge process. Without such a process, the concerns that have been raised about overstated mobile coverage would never have been identified. At the same time then, it has been disappointing to see the FCC moving away from challenge processes in the fixed service context. Specifically, the FCC has refused recently to permit any meaningful challenge process at all in the context of ACAM support, and it is now proposing to eliminate the existing challenge process to validate Form 477 data in the context of cost-based USF support – meaning that it would now instead default to the self-reported Form 477 data effectively as gospel. If HCC’s own experience in rural Washington and the Mobility Fund experience more broadly provide any lesson, it is that a meaningful challenge process is a necessity in determining where funding should go or where it should be denied. We therefore are hopeful that the FCC will reverse course on its suggestion to eliminate a challenge process in the context of distributing USF to support fixed networks, and that it will commit to a data-driven process that ensures rural consumers are not left on the wrong side of a digital divide due to inaccurate information. We hope that an evidence-based challenge process will be used in all contexts going forward to make sure even any improved maps are as accurate as possible prior to funding or financing decisions being made by agencies like the FCC or RUS. HCC continues to strive to provide great service to its customers in rural Mason County. However, as long as the federal broadband maps remain unreliable and riddled with erroneous, overly broad coverage claims, we will not be able to maximize our efforts to reach all unserved areas or to sustain services in areas where funding is needed to do so. Only a meaningful validation process, including the ability to challenge data on the baseline map as inaccurate, will provide for the granularity and reliability that is necessary to ensure these maps contribute to the ultimate goal of connecting every American and keeping every American connected. On Wednesday, April 10, 2019, at 10 a.m. the Senate Committee on Commerce, Science and Transportation will hold a hearing entitled “Broadband Mapping: Challenges and Solutions.” The committee includes Senator Maria Cantwell of Washington, ranking member, and Senator Roger Wicker of Mississippi, chairman. The hearing will discuss the state of the nation’s broadband maps and evaluate ongoing efforts within the federal government and private sector to collect more accurate and granular broadband coverage data. The hearing will also discuss ways to increase coordination among federal agencies that administer broadband deployment programs to ensure that resources are targeted to unserved areas. 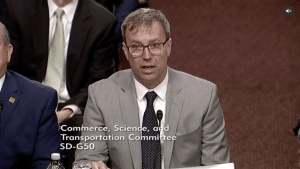 Mike Oblizalo, Vice President and General Manager of Hood Canal Communications (HCC), has been personally invited to testify on behalf of the private sector’s efforts to increase broadband access to underserved areas. HCC has a long history of grant-assisted development in Mason County. In 1978, then-named Hood Canal Telephone Co. Inc. (HCTC), received its first Rural Utilities Service (RUS) Telecommunications Infrastructure Loan for $932,000 to modernize its facilities and build a plant headquarters. In 1990, HCTC received its second Telecommunications Infrastructure Loan for $1.2 million to continue plant development. Following that, it received their first Community Connect Grant for $865,000 to provide Fiber-To-The-Home (FTTH) services, as well as a computer lab for the Squaxin Island Tribal Community in 2002. HCTC received its first Farm Bill Broadband Loan in 2004 for $1.7 million to expand the broadband service area in Mason County. This expansion included the Skokomish and Squaxin Island Tribal Communities. The project brought broadband connectivity through cable modems over a Hybrid Fiber-Coaxial (HFC) network to an additional 51.8 miles of Mason County, which in particular benefitted rural, home-based business operations. In order to upgrade its central office equipment and plant facilities—including a new Softswitch—HCTC received another RUS loan in 2007 for $681,000. As the company expanded its services, it changed its name from Hood Canal Telephone Company to Hood Canal Communications to better reflect its variety of products and services. In 2010, RUS, through the Recovery Act’s Broadband Initiative Program (BIP) awarded HCC $2.7 million in grant funding to extend broadband services to residents and businesses in rural Mason County. HCC provided $900,000 in matching funds to this project. The project benefitted approximately 1,600 people, 35 businesses, and 5 community institutions. In addition to the job creation, this project helped drive economic development in Mason County for decades to come. In 2017, The United States Department of Agriculture (USDA), through RUS, awarded HCC a Community Connect Grant of $2.3 million. The grant is currently allowing HCC to extend gigabit broadband services to residents and businesses in the Lake Cushman area. HCC is contributing approximately $352,000 in matching funds to this project, bringing the total investment to $2.7 million. The Gigabit Passive Optical Network (GPON) will serve the current and future needs of the area providing high speed internet, video and phone service. Having the availability of high-speed internet service will also greatly enhance the capabilities of state and local emergency responders in the area. 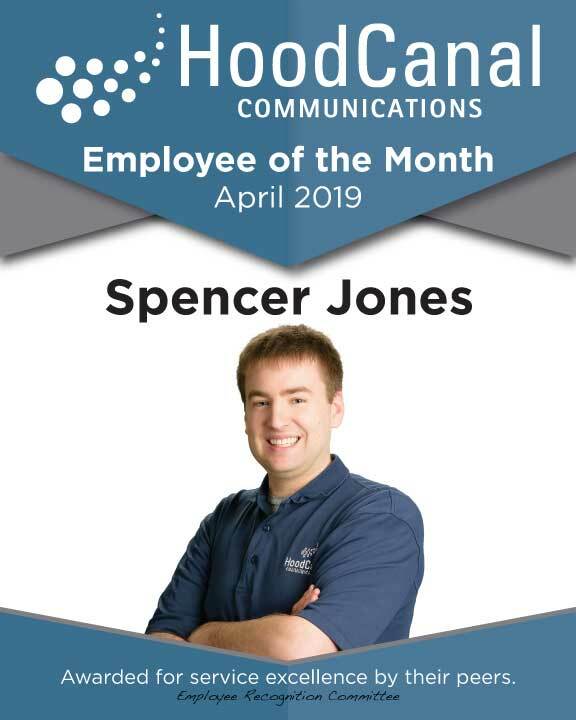 Congratulations to Spencer Jones, our April Employee of the Month. Spencer took billing tables off other employee’s plates willingly and even out billing vendor’s staff said Spencer knows more in a week’s time than some of their own employees do about the software. But wait! There’s more… Spencer created the nexTV training for the staff, the CBOL training for CSRs and has been working diligently for many days to figure out the best way to create bundle and pricing packages that will make life easier for the CSRs when taking orders. We have really relied on Spencer to be knowledgeable in situations that are tricky. Spencer is always willing to answer a question or find out what he doesn’t know to help out. Finally, Spencer spent some of his time last month installing the new, fourth desk in Shelton. Thank you Spencer, for all you do at HCC! Our on-screen guide vendor has scheduled an upgrade for our systems on March 20, from 1 a.m. to 3 a.m. This upgrade provides bug fixes and supports additional options allowing our subscribers to adjust the on-screen guide based on their TV or color preference. These options are designed to improve readability of the guide. Users may now change the guide color to one of four color schemes: gravity (default), blue, green and lavender. Allows users to adjust TV Type to HD, HD Zoom or SD, which will format the guide in 16:9, 16:9 zoom or 4:3 SD. No action is required by subscribers to receive this upgrade. Set top boxes will take approximately 30 minutes to reload guide during the upgrade. Between the hours of 2:00 a.m. and 6:30 a.m. on Tuesday, March 12, we will be performing cable modem upgrades that may affect phone and internet service. During this maintenance window those services may go up and down several times. Thank you for your patience during these upgrades. 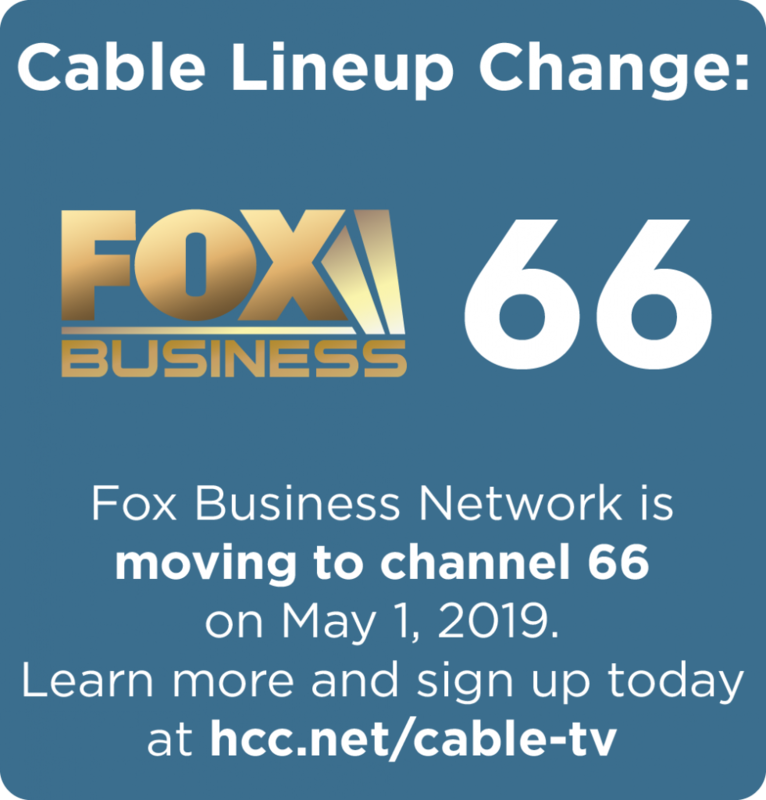 On May 1, 2019 FOX Business Network will be changing from channel 70 to channel 66. HCC Guide, channel 24, will be removed. Please call 360.898.2481 with any questions. 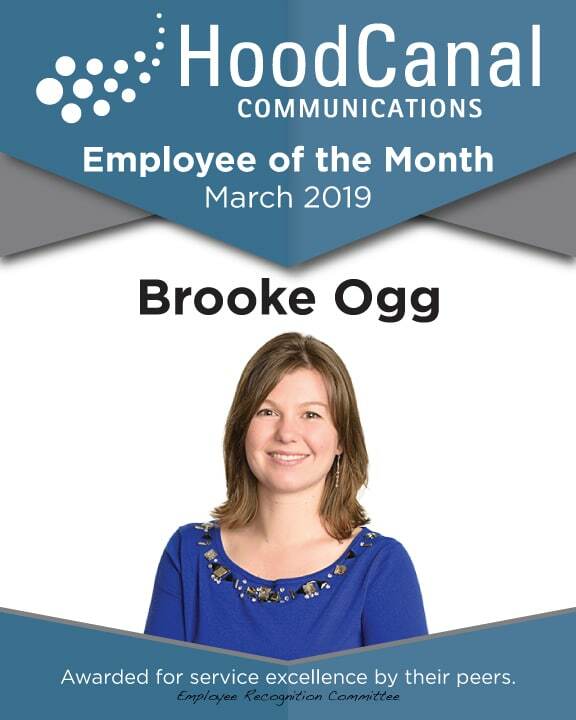 Congratulations to Brooke Ogg, our March Employee of the Month. Brooke recently completed our annual audit in record time. She is so dedicated to making our accounting department accurate and prepared. She is so detailed that everything was in place, organized and easily accessible when the auditors arrived. Completing our annual financial audit in just THREE days is a record and due entirely to Brooke’s organization, hard work and attention to detail. We’re pretty sure she’s some kind of wizard. Missing a channel? Seeing an error message? You may be experiencing a regular sun outage. What are sun outages and how do they affect HCC cable customers? In both the spring and fall, the sun passes behind certain communications satellites once per day. During this time, the energy from the sun will overpower the signal from the satellite, causing loss of signal, tiling and no reception at all on several channels. This can last 2 to 3 weeks and causes channels to go black for a brief period of time. Initially, outages will be gradual and slight, and can last 15-20 minutes at peak times. On your television you may see the error messages, “one moment please, this channel will be available shortly,” error code SOAOO, or “no signal” during the time of an outage. So what is HCC doing about this? Unfortunately, there is nothing that we can do to prevent sun outages from occurring. All cable and satellite companies are affected by this semi-annual occurrence. We apologize for this programming interruption, and appreciate your patience during this time! Watch the brief video below, from another cable operator, that explains sun outages simply. Hood Canal Communications does not serve pop ups to our customers for contests or prizes. Official HCC contests are only available at https://www.hcc.net/contests. Here is a sample fraudulent contest pop up. It is misleading and could potentially harm your computer or tablet. HCC advises our customers not to click on these links, but to instead close them immediately and clear your browser’s cache. This information is courtesy of the FEDERAL TRADE COMMISSION. Legitimate sweepstakes don’t make you pay a fee or buy something to enter or improve your chances of winning — that includes paying “taxes,” “shipping and handling charges,” or “processing fees” to get your prize. There’s also no reason to give someone your checking account number or credit card number in response to a sweepstakes promotion. A skills contest where you do things like solve problems or answer questions correctly canask you to pay. But these contests also tend to get more difficult and expensive as you advance, leaving contestants with nothing to show for their money and effort. You may be told to wire money to an agent of “Lloyd’s of London” or another well-known company — often in a foreign country — to “insure” delivery of the prize. Don’t do it. Wiring money is like sending cash: once it’s gone, you can’t trace it or get it back. The same goes for sending a check or money order by overnight delivery or courier, or putting money on a prepaid debit card. When you do, they’ll ask you to wire a portion of the money back. The check will turn out to be a fake, and you will owe the bank any money you withdrew. 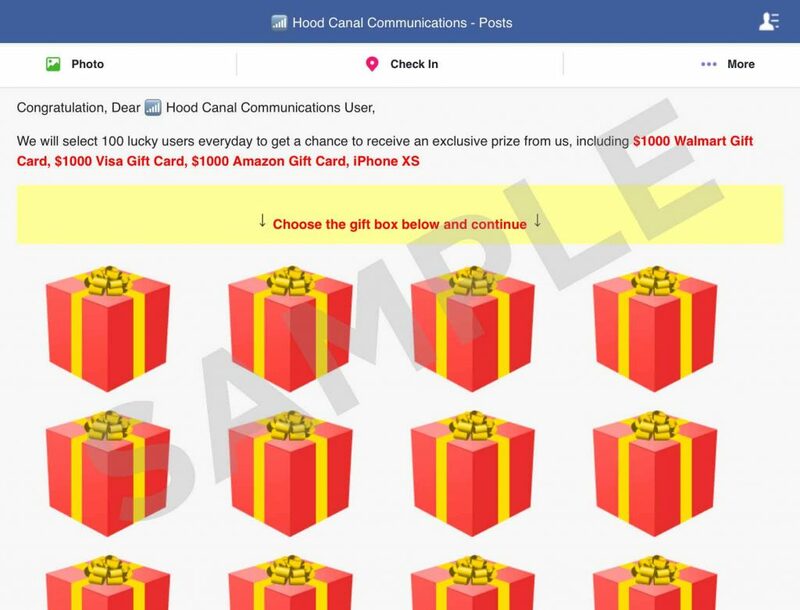 Scammers might pretend to be a company like HCC, which runs legitimate sweepstakes. Look for signs of a scam, but if you’re still unsure, contact the company to find out the truth. If you agree to attend, you’re likely to endure a high-pressure sales pitch. In fact, any pressure to “act now” before you miss out on a prize is a sign of a scam. Once you register your phone number for free at donotcall.gov, unwanted telemarketing calls should stop within 30 days. Unless the company falls under one of the exemptions, it shouldn’t be calling: it’s illegal. Sometimes a letter you get will say you’ve won a foreign lottery or sweepstakes. Typically, the letter will include a check. This is a fake check scam. Or a letter will say they’re offering you a chance to enter a foreign lottery. The truth is that, even if your name was entered, it’s illegal to play a foreign lottery. You get a text message that says you’ve won a gift card or other free prize. When you go to the website and enter your personal information, you’ll also be asked to sign up for “trial offers” — offers that leave you with recurring monthly charges. Worse, the spammer could sell your information to identity thieves. When you see a spam text offering a gift, gift card, or free service, report it to your carrier, then delete it. Don’t reply or click on any links. Often, they install malware on your computer and take you to spoof sites that look real but are in business to steal your information. Scammers don’t obey the law. To avoid a scam, you have to do some research. If you’re not sure about a contest or promoter, try typing the company or product name into your favorite search engine with terms like “review,” “complaint” or “scam.” You also might check it out with your state attorney general or local consumer protection office. Keep in mind that many questionable prize promotion companies don’t stay in one place long enough to establish a track record, so if no complaints come up, it’s no guarantee that the offer is real. If you think you’ve been targeted by a prize scam, close out of what ever you’re working on, and clear your browser’s history and cache. You can also report the scam to HCC by emailing the details and a screenshot to info@hcc.net. 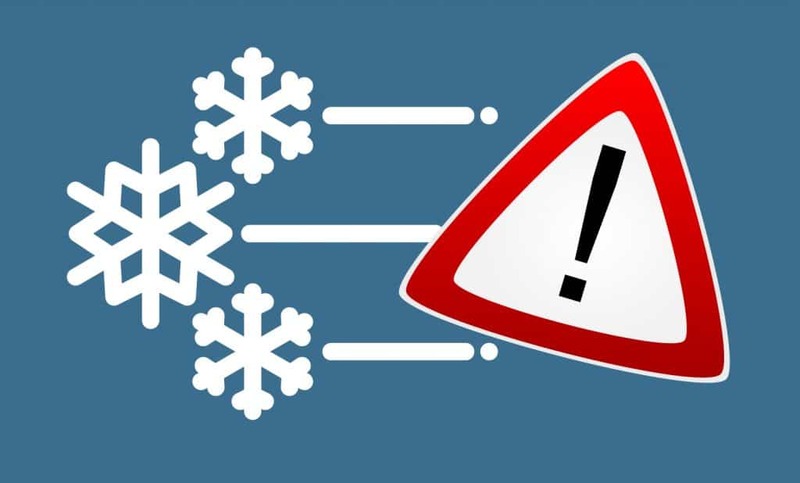 The severe cold weather is affecting some of our customers’ services. We are monitoring our maps and trying to keep up as best we can. Please call 360.898.2481 to report outages. We are experiencing a high volume of calls at this time. If your call does not go through, please continue trying. Thank you for your patience during this extreme weather, we hope to have everyone restored soon. Please note, even if a customer’s house has power, there may be HCC power supplies feeding the neighborhood that are without power. Once power is fully restored, customers may need to “power cycle” their equipment once services are restored. For information on power cycling your equipment, please call 360.898.2481.